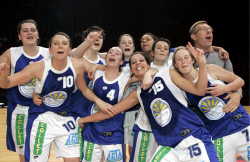 The Coupe de France Amateur, also known as the Trophée Coupe de France féminines, is in its fourth year of existence. This competition was created to give amateur clubs a chance of playing a national cup competition independent of the clubs from the top two divisions. The gesture of the French Basketball Federation in forming this competition has caused problems from the start. Participation is compulsory for clubs playing in Nationale Féminine 2 (NF2) and Nationale Féminine 3 (NF3). The chance to play the final at Paris Bercy does not seem to be seducing enough for a number of clubs in these divisions. They tend to be eliminated early on by clubs in lower divisions who take the competition seriously. This weekend was the sixteenth-final. One notable factor was that only four LFB (Espoir) second teams had remained in the competition. Aix-en-Provence’s senior team good fortune in the cup was all the motivation required by their espoir team as they beat AL Vénissieux Parilly (ALVP basket) (73-64). The other Espoir team which stayed in the competition after knocking out Lagardere Paris Racing club (NF2) is COB Calais Espoir. Florence Courby (left) hit the winning shot on the game-ending buzzer. She led the scoring with 24 points including 4-of-6 from beyond the arc. Perrine Leleuch made her return to action with the Espoir side in this competition after her shoulder injury. 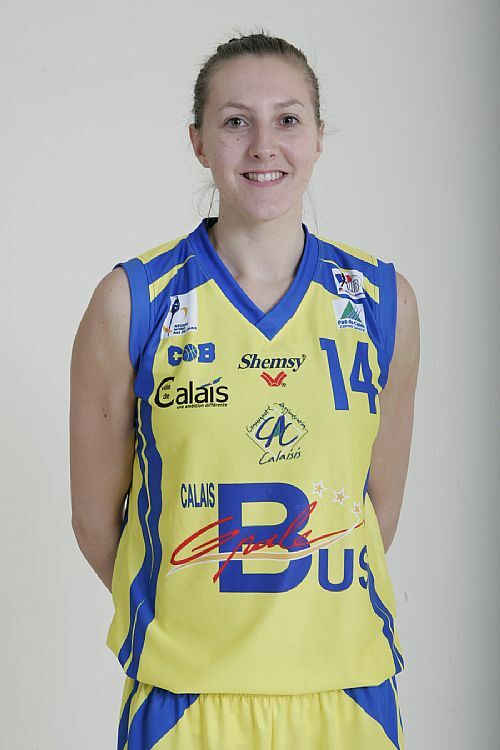 The Calais line-up included two other players from the LFB roster Vanessa Candelier scoring 15 points and Pauline Machu 14 points. The other player in double digits is a product of their youth programme Meïte Massarami who scored 17 points and took 12 rebounds. USVO Espoir are dominating their pool in NF2 and had to travel to Geispolsheim (NF3), close to Strasbourg, for their tie. By coincidence USVO also had to play the same team in the U18 cup. USVO are the defending champions of the U18 cup and their coach only travelled with 10 players for both matches. USVO crushed Geipolsheim in the U18 match (82-30). Then five players from the first game played the main match in front of a capacity crowd. The match lasted only 19 minutes as four players from USVO fouled out. Geipolsheim was leading at the time (58-40) and have now qualified for the next round of the competition. Tarbes Espoir had a difficult tie against Toulouse, a club that played in NF1 last season. Both sides play in NF2 and Toulose made home advantage count as they won (69-56). In the coming eighth-final of the Trophée Coupe de France féminines the Strasbourg Illkirch Graffenstaden (SIG), Ouistreham (in picture) and Le Havre will make their appearance in the competition. All three teams were allowed to play in the professional French cup. SAINTE SAVINE BASKET(+7) 64-62 FURDENHEIM A.C.S.L.